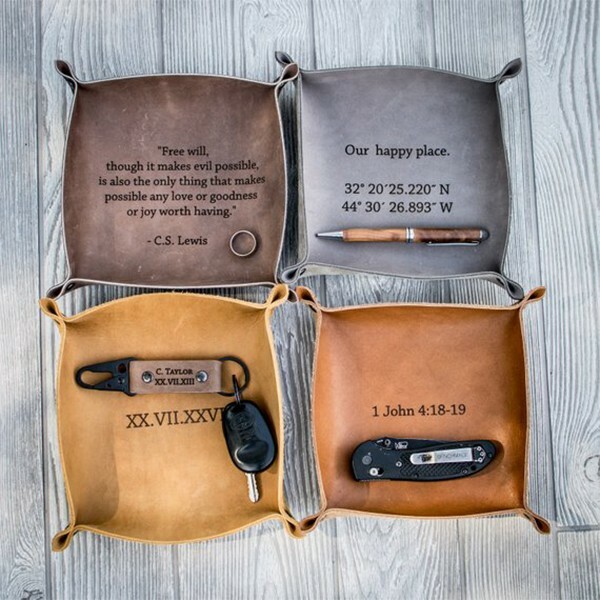 Treat him with something very special --- our Personalized Collapsible Leather Valet Traya. 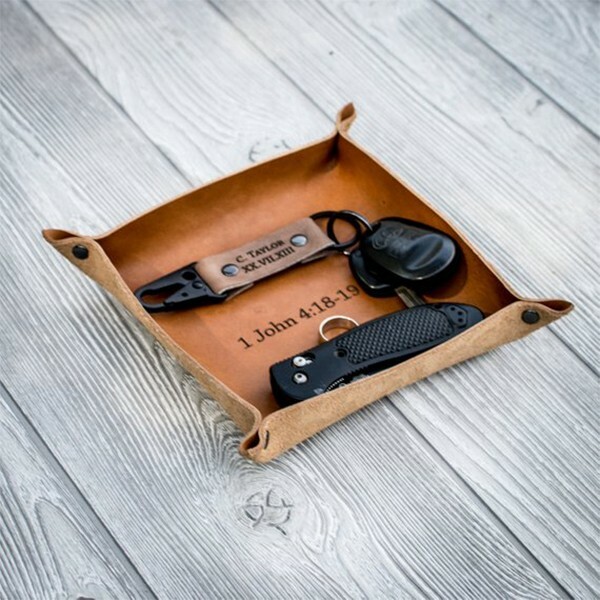 Engraved with any message you want to say to him, this leather tray will be his best gift ever. 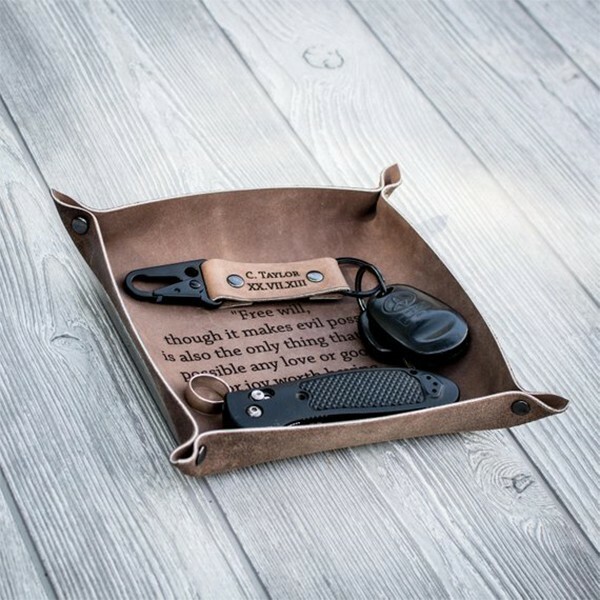 Crafted of leather and gunmetal. Inside area measures 6.5" x 6.5" (165.1mm x165.1mm). 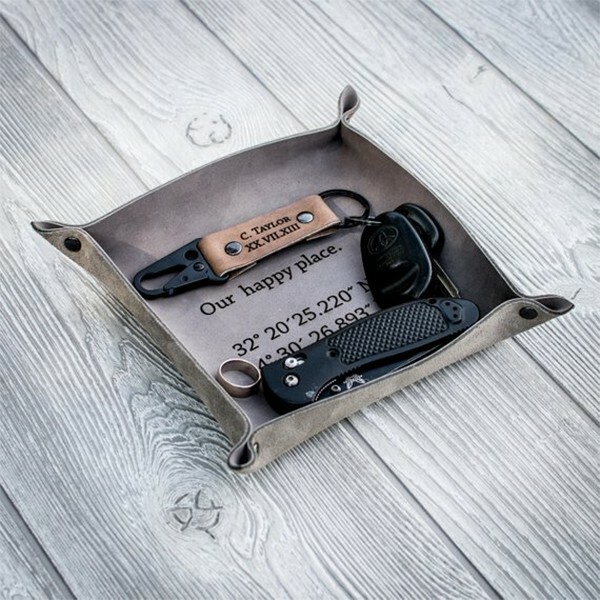 Note your message in the Personalization box when place the order. 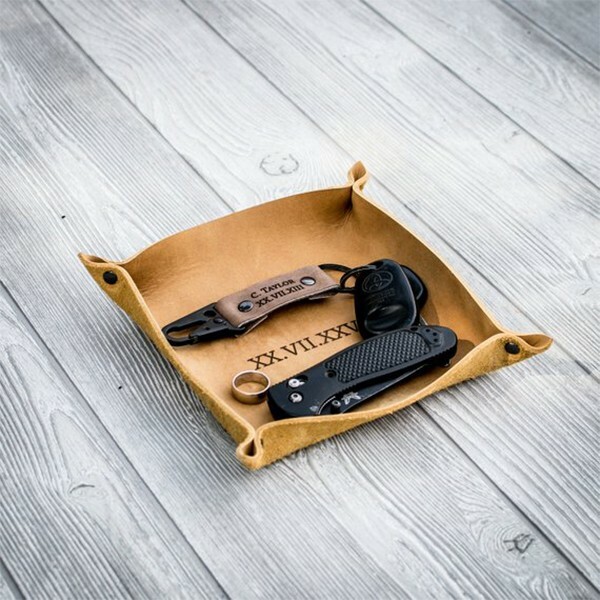 Question about Personalized Collapsible Leather Valet Tray is Successfully Submitted.